Who doesn’t love a little outdoor fun? What can be better then being surrounded by Mother Nature’s beautiful sunny days and starry nights? Mix that with a little adventure and you’re on your way to having an awesome camping trip, especially if the location is great as well. 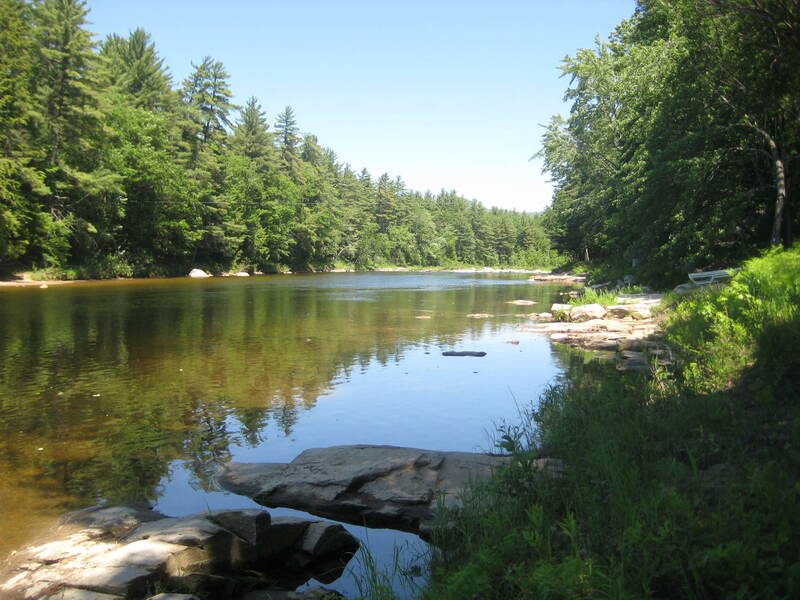 Camping areas like Saco River have so much to offer in terms of family adventure; from canoe and kayak rentals to laser tag, the opportunities to have a memorable camping trip are endless. While camping, there’s nothing like some good old-fashioned camping games to stir up some fun for the entire family. The Alphabet Game: Great for families with small children. The alphabet game is played when each family member has to look for things starting with a different letter in the alphabet (but in order of the alphabet) around the camping area. This game allows your child to explore the camping area thoroughly as well as increase their observation skills. Group Storytelling: A fun and exciting twist to your traditional spooky stories around the campfire. One person begins the story with one line to set the scene. Then the next person to the right of them will add a line. A fun way to get creative and have a little laugh! D’Juno? : Designate a leader of the game. The leader will then hide an envelope (The D’Juno) that has information inside about something in our natural environment. The object of the game is to use clues to discover the location of the envelope containing this new information about the outside world, thereby becoming the winner of the D’Juno Award! After the D’Juno has been hidden, the leader plants a clue (often rhyming couplets) for all to read. If, after ten minutes, no one has located the envelope, the leader posts another clue. Clues continue until someone discovers the award. SAMPLE CLUES: (Location of D’Juno is: taped to the back of a thermometer at the Weather Station). 1. I’ll brighten your day by degrees and degrees But leave me alone -don’t hug me please. 2. If it’s warm outside I’m the first to know, A little red bulb always tells me so. SAMPLE D’JUNO’s: A. D’JUNO that some plants receive their nourishment by eating other plants and insects? B. D’JUNO that a large porcupine may have as many as 35,000 quills? 4. Hot Seat: Have one person sit facing the group. (This person is in the “hot seat.”) A family member will write a vocabulary word on a piece of paper and hold it up behind the contestant in the hot seat for everyone to see. Then the group has to try and get the hot seat contestant to guess the word by giving hints and clues. Playing games with family and friends not only brings a ton of laughter and joy, it also allows for time to bond and create memories you’ll cherish forever. Do you have a favorite game you play every time you camp? Share it in the comments below. Ready for your next camping trip? Call or email Saco Family Camping Area today to book your next fun-filled trip.